Dead Good Poets present the third in a series of three fifteen-minute poetry readings broadcast on Sunday afternoons at 3.45pm. These will include Doric and English poems written and read by some of the leading published poets of the North-East of Scotland. The readings are broadcast by Multi-Ethnic Aberdeen Limited and the poems will reflect some of the concerns and themes of a multi-ethic society. Tune in to Me FM (105.8FM). Phyllis Goodall rediscovered her poetry-making ability in 1995 when she won the Doric Festival Connon Caup with Doric Sweet talk. Since then her Nell o Sparta, Allawakin, Berryhill and several others have won awards. She is published in The Leopard and her naughty Golf-Widow has been translated for a Netherlands Golf Club. Sheena Blackhall is a poet, short story writer, folksinger and book illustrator who writes mainly in Scots. She has published many books and from 1998-2003 was Creative Writing Fellow in Scots at Aberdeen University's Elphinstone Institute. She has won the Hugh MacDiarmid trophy for Scots and the Robert McLellan Cup for short story writing. Margaret Grant (nee McWilliam) was born in Kinnoir in 1938. 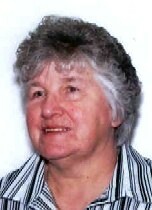 A retired Law Accountant, she attended Kinnoir School and The Gordon Schools, Huntly. 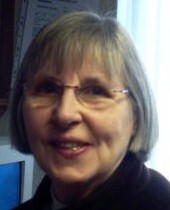 She has had two books of Doric verse published, Jist for a Lauch in 1999 and Anither Keckle in 2003, and has also appeared in print in The Leopard.